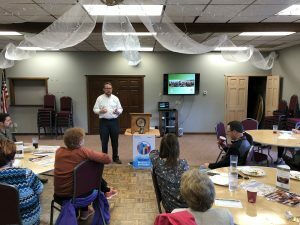 Rick Gaupo, president and CEO of Marion County Food Share spoke to the club on Wednesday this week. Encouraging us all to get involved in a community meal. Thanks Rick for the great information.